In 2013, Mozilla and our partners launched Firefox OS in fourteen markets. We released three Firefox OS smartphone models and a Geeksphone developer preview device. Our Developer Relations team hosted eight invite-only workshops for app developers around the world: Mountain View, London, Madrid, Bogota, Warsaw, Porto Alegre, Guadalajara, and Budapest. This year, Firefox OS will launch on more devices in more countries around the world. We continue to grow Firefox Marketplace with new and engaging HTML5 apps that run on Firefox OS devices. Through our Phones for Apps program, we’ve shipped hundreds of Geeksphones to app developers around the world. Developers like you ported existing HTML5 apps to Firefox OS, and got to keep the developer preview devices we sent. Huge thanks to hundreds of these pioneers in scores of countries who delivered apps to Firefox Marketplace! This year we’re focused on finding the very best apps — apps that deliver great experiences and local relevance to Firefox OS users. For HTML5 app developers, powerful cross-platform tools make it easier to build apps for native platforms and to access native device APIs. This week we introduced the Firefox OS Cordova 3.4 integration, which makes it possible to release Cordova apps on the Firefox OS platform. While this is an ongoing project, significant functionality is available now with the 3.4 release of Apache Cordova. Yesterday’s post describes how to use these new capabilities to port your existing app or apps. 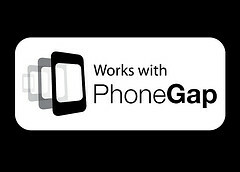 Apply here: Phones for Cordova/PhoneGap Ports application. All submissions will be reviewed as they are received. We’ll let you know if your application is accepted. Once you commit to porting your app, we’ll send you a device. In addition to our online Phones for Cordova/PhoneGap Ports program, we plan to host a limited number of invitation-only Firefox OS App Workshops in new locales. We’re excited to announce a workshop in the beautiful city of Prague in the Czech Republic, date to be set next quarter. The enrollment form is open and we are accepting applications from qualified HTML5 developers. REQUIRED: You must have a Firefox OS app in progress or a published HTML5 app that you’re porting to Firefox OS. Show us a link to your existing app or to working code for the app you’re building. If you don’t provide relevant links to working app code we will not consider your application. Apply now for the Prague App Workshop. What if you don’t live near Prague in the Czech Republic? Don’t worry! 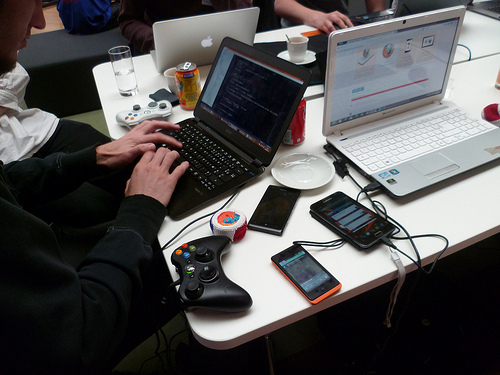 We plan to offer several other app workshops this year and we’ll announce them here. Whether you’re just getting started or you’ve already built apps for Firefox OS, there are many hackathons, App Days, and other events hosted or sponsored by Mozillians and happening around the world where you can participate and learn. Find out about community-driven Firefox events hosted by Mozilla Reps as well as talks and events that include Mozilla participants across the planet. I am making a news reading app for the chrome store, its in development phase right now, but I have a webapp up and running. Am I eligible for this contest ? @amoeba – Thanks for your interest in this program! Right now we are focusing specifically on apps built using Cordova/PhoneGap. That said, if you have a working webapp running now, could you point us at it? Please email a link or pointer to your current working app: send to appsdev at mozilla dot com and we’ll get back to you. @havi thanks for the response. I mailed my webapp url and play store app url to that mail (5 days ago), haven’t got a response yet. If you are making games for Firefox OS, you might find my blog helpful. Hints, tips, lots of code examples, and even reviews of Firefox OS games in the Marketplace. Let a thousand games bloom! I am a university student currently attending University of Central Florida. I am very interested in mobile and web development, working mostly with Android and iOS at the moment. I am very intrigued with Firefox OS and would love to develop for the platform. While I don’t have any currently written Phonegap applications, is there anyway I could still get a developer device? Thank you for your time. For HTML5 app developers, powerful cross-platform tools make it easier to build apps for native platforms and to access native device APIs.Great. Previous participants who ported apps and already have devices are also eligible. In this program, we are looking for developers who can port topnotch HTML5 apps built with PhoneGap and/or Cordova, that are not currently available in Firefox Marketplace, but are already live and doing well on another platform. We will review each submission based on these criteria. ZTE Open Devices are available for sale in the ZTE Store on eBay, and we’ve seen them for sale from some other U.S. vendors. Ive still not found time to get a few web apps off the ground that I have plans for, but I have got my FireFox OS handset now. Shame I cant get to the Prague event to. Can we built new apps and send the app to the respective mail, I personally would love to learn PhoneGap as a part of this program. I have applied for a device and it seems that one on it’s way. I already did a great deal of the work that I expect that is needed to prepare my app for the FirefoxOs device, but it seems that a many plugins are still not supported (http://cordova.apache.org/docs/en/3.4.0/guide_support_index.md.html#Platform%20Support). Do you know if that guide is correct? I am windows developer and also have windows 8 app and windows phone app. I have so much interest in Firefox OS so how can i start developing apps for Firefox OS?? What devices are being sent out this time? Keon or Peak? @Anmol, Currently, we are shipping Keons. Participants from earlier phases of our Phones for Apps program are not eligible for this program. I already mentioned my HTML5 Firefox OS game coding blog at http://firefoxosgaming.blogspot.com, but I now have a 50,000 word (400 pages) eBook on Amazon Kindle at http://www.amazon.com/dp/B00IZUYIGO.